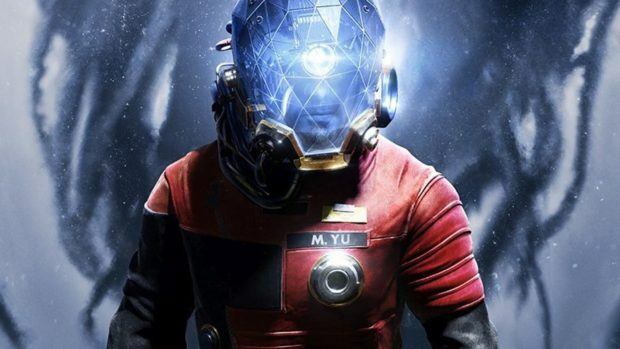 Prey launched last year with critical acclaim and following the game’s release no plans for DLC or expansions were revealed by developer Arkane Studios. But now it seems that we might be getting a Prey expansion set on Moon. The official Twitter account of Prey recently posted a short video hinting towards an upcoming Prey expansion and according to the teaser, the expansion or DLC will be set on the moon which isn’t surprising since the game itself is set on a space station. Players may also recall a reference to a station on Moon in the main game that “sits deep in a crater on the Lunar pole, permanently shadowed and surrounded by kilometers of ice.” Seems like the studio has decided to capatilize on the reference and develop an expansion or DLC around it. Arkane Studios or publisher Bethesda are yet to officially announce the Prey Expansion and it is also unknown whether it will be a standalone expansion or DLC like Dishonored: Death Of the Outsider which is a standalone DLC for Dishonored 2. In related news, Elder Scrolls fans are waiting for the next Elder Scrolls title, however, Bethesda has planned two big games before we get to see Elder Scrolls 6. There are many reasons as to why Bethesda is delaying Elder Scrolls 6 and one the reasons is the fan expectations. According to the company, they are being very careful about the setting the fans expectation on the Elder Scrolls VI. It’s not what you would call a big, active project right now. There are some other ones that we have going. We know it’s important to our fans, and we need to be careful about setting expectations. It’s certainly a game that we’ll be making one day. I could sit here and explain to you exactly what we want it to be. Prey is a first-person survival-horror game developed by Arkane Studios for PC, Xbox One, and PlayStation 4.